Hercules Review, August Movie Preview, Waiting for Acceptance/Rejection, Movie Trivia Answers, and Ninja News! A new twist on the legend of Hercules - caught this in 3D last Friday. This movie is the perfect B-grade film with an A-list of actors on board. The plot is pedestrian. What elevates it beyond the average story is great acting and exciting action scenes. (The ending is spectacular.) The movie pokes fun at itself – it knows it’s a B-grade film and plays that angle to the max. The cast did a great job. Rufus Sewell gets to play a good guy (it’s been so long!) and Ian McShane has all the best lines. 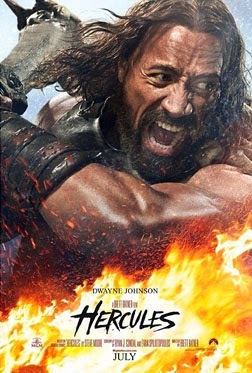 Johnson turns in a good Hercules, although ultimately it’s the supporting cast who really rock the show. Overall, it’s just a fun B movie. Leave most of your brain at the door. 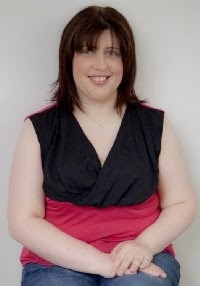 Please welcome the awesome author, C Lee McKenzie! Subbing manuscripts, then waiting to hear back is one of the hardest parts of traditional publishing. And, let’s face it, you know you may never hear back. Awk! Is that rude or what? It’s rude, but it’s the reality. So when I’m hanging out, waiting to hear if they’re accepting my book or not, here’s pretty much what I do when the week of GO or NO GO has arrived. Check email. Do not find acceptance letter. Make coffee. Consider giving up writing. Drink coffee. Talk to self about unrealistic expectations. Gird loins. Check email. Do not find acceptance letter. Consider writing new book. Talk to self about unrealistic expectations. . .again. Sulk. Shut off all digital clocks. Turn analog ones to wall. Check email. Do not find acceptance letter. Leave house with backpack and water. Lots of water. Sneak past computer. It’s asleep. Wonder what time it is, but choose not to know. Make a list of neglected household chores: cupboards, refrigerator, floors, laundry. Toss list. Check email. Do not find acceptance letter. Talk to self about what to do if I never write another original sentence. Talk to self about life and priorities. Stare at ceiling. Curse agents/editors/publishing in general. Check email. Do not find acceptance letter. Stomp out door and drive to town. Talk to non-writers. Find they are a happy group. Decide to join their ranks. Clean one cupboard. Eat ice cream. Chew last nail. Curse the universe. Go to bed. Pull covers over head and wait for sun. Climb out of bed. Squint at computer, stand as far away as possible and boot. Check email. Find acceptance letter. Do Happy Dance, then go back to bed and think, “Must be a mistake. They sent that email to the wrong author.” Back to computer. Check address. “No. They meant to send it to me.” Restore clocks. Make coffee. Toast the universe. All is good. I have a whole other angst routine for when I Indie publish. The hours are about the same, the concerns are a bit different. 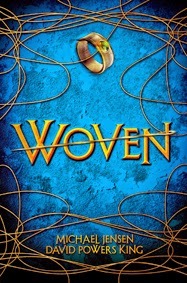 The awesome Lexa Cain is featured today at the A to Z Blog! Lexa’s theme for the Challenge was hauntings and it was really cool. Medeia Sharif, Lexa Cain, and Beth Fred are hosting the International Potluck Blogfest. You can win books and an Amazon gift card – see their sites for details. Carolina Valdez Miller is offering free editing services. (And Jack will be stopping by here on August 11! 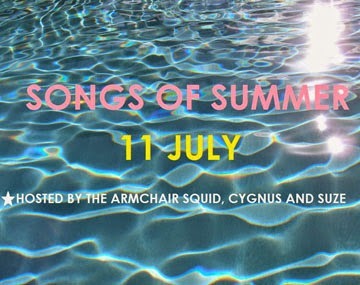 This could be the film of the summer – don’t miss it! Bringing back the turtles for a new generation so today’s kids will be able to recite by heart their five favorite turtles – Michelangelo, Donatello, Leonardo, Raphael, and Megan Fox. Could be fun, could be the SyFy Craptastic film of the week – Thorin Oakenshield battles the weather. Five million B-list actors + zero plot + PG13 rating = highly questionable time at the movies. Always a sucker for a heartwarming sports tale of overcoming. Anyone else see Hercules? Gone through a day like Lee’s? Excited about the new releases? Get any of the trivia right? And what movies spark your interest for August? Snowpiercer Movie Review and Others, Movie Trivia, Blogging Changes, and Ninja News! Finally caught this on Direct TV! Set in a future where a failed climate-change experiment kills all life on the planet except for a lucky few who boarded the Snowpiercer, a train that travels around the globe. Directed by Joon-ho Bong who did The Host. Visually it’s very impressive. It’s a quirky film, similar to a Terry Gilliam movie with bizarre, colorful characters and surreal settings. It deals with complex moral issues in its own quirky fashion. Chris Evans is great (and far removed from his Captain America role) along with the rest of the cast. Once the characters start moving forward on the train, trying to reach the engine, the film is full steam ahead and never lets up. A rather pointless remake. It strips away the social parody that made the original a camp classic and replaces it with a straightforward story that is at times dull and overlong. The special effects are good and the top notch cast does a good job with what they were given. Watch only if you’re really curious. For me, not nearly as good as all the hype. It’s very odd and quirky (which is probably the only way a movie about Legos could work) and when it’s funny, it’s really funny. It’s fairly entertaining and doesn’t overstay its welcome. Watching it once was enough though. Vanessa Morgan’s other blog, Traveling Cats, was featured in this month's issue of Your Cat. Epic contests through Audiomachine and more – design a t-shirt or book trailer, write a steampunk series, and numerous other opportunities! Visit Samantha Redstreake Geary for details. And Jo Wake had a short story published in the Indie-Pendence Day Anthologies Book 1. She claims she had help and it will be her only short story ever, but I bet we can coax her into writing more, don’t you? Last week, Karen Jones Gowen posted about the trouble with blogging, and Denise Covey followed up with her own post. I’d like to make adjustments to my own blog. 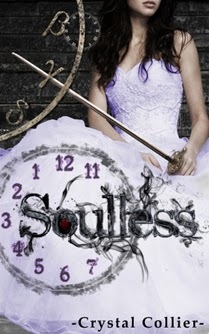 I still want to share news and have guest posts, but fewer cover reveals and stuff like that. Get back to more of the movie-music-games-science fiction-geek stuff. As I told Denise, it’s been ages since I did any trivia. Ages! If you read those posts or think things are changing, chime in below with your thoughts. Seen any of those movies and what did you think? Picking up some new books? Know any of the trivia? (Even just the first name?) And what changes have you seen in blogging or do you plan to make? 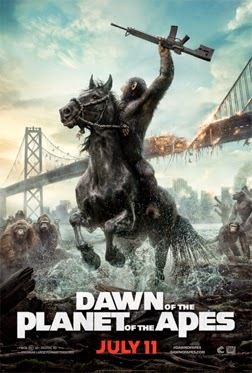 Dawn of the Apes Movie Review, Sharknado 2, Traditional Publishing Defined, and Ninja News! First, I have to address the special effects. This film blows away all competition. I completely forgot I was watching CGI apes. Expressions, movement, eyes – all beyond real. As for the story, it is one intense ride! Every scene adds a new layer of intensity. No, it’s not a feel-good film. There are moments of great sorrow and anger. You can see both sides clearly and there are mistakes made by both. The film sets a good pace. It invites you to discover and explore the world of the apes. And the world of the humans. You won’t be rushed through the action, nor will you be bored by the personal moments. And you will come to realize all it takes is one misguided idiot on each side to send the situation into a nosedive. Andy Serkis deserves an Oscar for his performance. Yes, Caesar is CGI, but Serkis provided all of the facial and physical movements. It’s incredible what he achieves and conveys through the character. If you want smart science fiction, powerful drama, or just a great story, this is your film. Highly recommended! 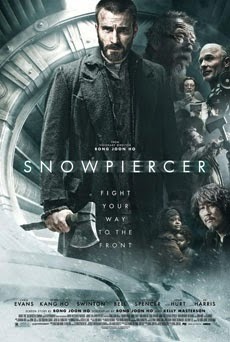 And - finally saw Snowpiercer Sunday night! Review coming. Also recommended! But most people in today's real-world publishing industry—on both sides of the self-publishing fence—agree on the definition of traditional/legacy publishing. Here's a version of that from Writer's Digest: "Traditional book publishing is when a publisher offers the author a contract and, in turn, prints, publishes, and sells your book through booksellers and other retailers. The publisher essentially buys the right to publish your book and pays you royalties from the sales." Today’s Themes that Rocked the Challenge features Chrys Fey. Check it out at the A to Z Blog. Sean McLachlan’s second book in his Toxic World post-apocalyptic series is now out - Refugees from the Righteous Horde. 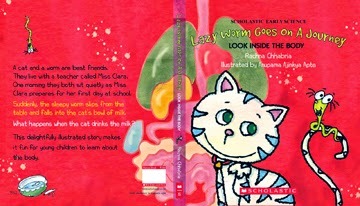 Kyra Lennon is putting together a charity cat anthology on September 5. See here site for details. 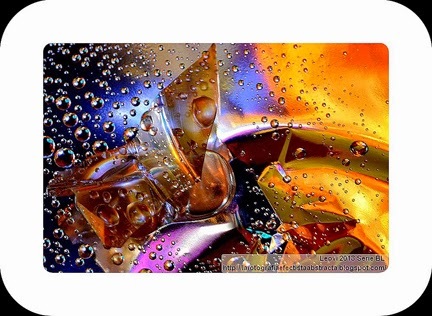 Leovi is an abstract photographer, and his photos are just incredible. If you’ve never visited his site, you are in for a treat. He posted this one last week – it would be so cool to write a story based on the image. Yes, the rumors are true – Sharknado 2 is coming soon! Anyone else see Dawn of the Apes? Read Anne’s post yesterday? Excited about the new books? And who’s up for a play-by-play of Sharknado 2…? 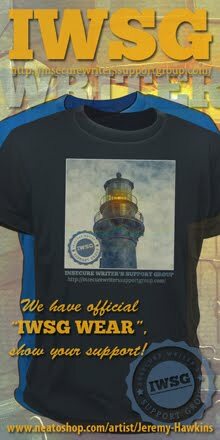 Be sure to check out my post at the IWSG site and the post at Anne R. Allen’s! 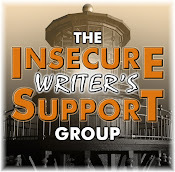 Insecure Writer’s Support Group, What is Traditional Publishing, and Ninja News! My awesome co-hosts for today are Krista McLaughlin, Kim Van Sickler, Heather Gardner, and Hart Johnson! Be sure to pay them a visit and thank them for helping today. Last weekend, I handed my manuscript off to my test readers. Now, I’m one of those writers who prefer the editing phase. Getting my thoughts onto paper or screen is difficult. I’m usually not fond of my story while actually writing it. During edits is when I really start to like what I’ve written. The vision comes together and I’m happy with it. My test readers aren’t writers. They’re just readers of science fiction. As my target audience, they let me know if the story works for them, what wasn’t clear, and what more I need to add. They’re actually tougher than any critique partner. I’m not too concerned though. My real concern is that I only have one critique partner now. And within the next couple weeks, I have to find two more. Any speculative fiction authors looking for a critique partner? 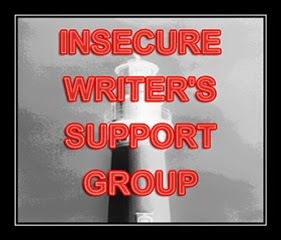 I need co-hosts for the next few months for the Insecure Writer’s Support Group. If you’ve participated but never co-hosted, you’re missing a lot of fun. (Trust me, it’s even more fun to be on the host side of the equation!) If you can help in August, September, or October, just leave a comment or shoot me an email. Thanks! Susan Gourley’s final book in The Recon Marines series, The Marine's Doctor, is out now! 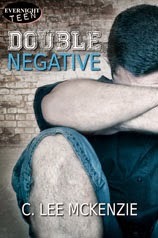 Pick it up at New Concepts Publishing. 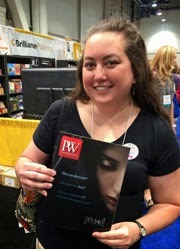 Remake by Ilima Todd on the cover of Publishers Weekly! Jeremy Hawkins is hosting What is Your Favorite T-shirt. Check his site for details. And be sure to see all his new t-shirt designs at the NeatOShop! 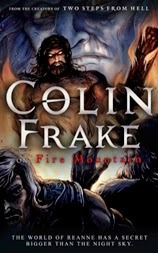 Create the most epic book trailer in literary history for Two Steps From Hell’s enhanced ebook, Colin Frake, using Thomas Bergersen’s compelling orchestral track, “Battle At Hoback”, a brilliant blurb from the mind of master storyteller, Nick Phoenix, and intriguing hand drawn illustrations by Otto Bjornik! The top 3 cinematic winners, chosen by TSFH, will be featured in Epic Music Vn’s 2-year celebration tribute video and awarded copies of the Colin Frake ebook and soundtrack, as well as signed cover artwork! 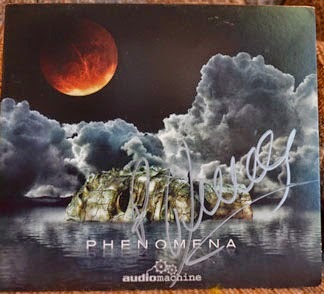 The overall favorite will also receive a signed future public release album! It came up on another blog about what is a traditional publisher and a traditionally published author? The assessment was that an author is only traditionally published if he is with one of the big five. Otherwise he can’t call himself traditionally published, only independently published. A commercial or trade publisher (a.k.a. a traditional publisher) purchases the right to publish a manuscript (usually together with other rights, known as subsidiary rights). Big houses and larger independents pay an advance on royalties; small presses often don’t. Commercial publishers are highly selective, publishing only a tiny percentage of manuscripts submitted. They handle every aspect of editing, publication, distribution, and marketing. There are no costs to the author. Traditional book publishing is when a publisher offers the author a contract and, in turn, prints, publishes, and sells your book through booksellers and other retailers. The publisher essentially buys the right to publish your book and pays you royalties from the sales. In traditional publishing, the author completes his or her manuscript, writes a query letter or a proposal, and submits these documents to a publishing house (or has a literary agent do this for them, if one can be acquired). An editor reads it, considers whether it is right for the house, and decides either to reject it (leaving the author free to offer it to another publisher) or to publish it. If the publishing house decides to publish the book, the house buys the rights from the writer and pays him or her an advance on future royalties. The house puts up the money to design and package the book, prints as many copies of the book as it thinks will sell, markets the book, and finally distributes the finished book to the public. Jan Friedman had an Infographic on the subject. Before the 1960s, the book publishing industry was composed mostly of independent companies whose only business was books. But, growing profits made the business attractive to large corporations looking for new investments. I also sent an email to my publisher. They responded that they were surprised to find out they weren’t a traditional publisher anymore and that would be news to the tens of thousands of other small and mid-sized publishers out there. (Yeah, from their tone, I think my question amused them.) Their answer - I'm a traditionally published author. So, what do you think is the definition of a traditional publisher? If you're an author and not self-published, do you consider yourself traditionally published? Are independent publishers still traditional publishers? What are your writing insecurities today? Any science fiction writers looking for a critique partner? What’s your favorite t-shirt? And how do you define a traditionally published author? And if you can, please vote for CassaStorm at the eFestival of Words Awards!